In a new MS blog - Chemo Is Not A Pony - Xenu discusses Ataxia, Chinese Hamsters, and Sesame Street Band-Aids including a profound look at Chronic Illness. Today I woke up with major ataxia in my arms, hands, legs, and feet. This has happened around a half a dozen times over the course of the past year. Usually it lasts around 24 hours and then disappears. I think the longest it’s ever lasted was close to 48 hours. I am clumsy, uncoordinated, dropping things, tripping, walking oddly. I remember one time that Lisa, over at Brass and Ivory, commented that she doesn’t use a Band-Aid on her injection sites because it is unnecessary. I use a Band-Aid, but not for physical reasons. I am aware that the blood clots within seconds of withdrawing the needle, and that the wound is tiny anyway. When I place a Band-Aid over my injection site, it is for purely psychological reasons. I buy boxes of colorful children’s Band-Aids—Dora the Explorer, Sesame Street, Hello Kitty, etc. Affixing one to the site is soothing; it says, This is over now. It labels the wounded area. It communicates to other people: Please be gentle here. This part hurts. I am vulnerable. It covers up with cartoons and superheroes the memory of a puncture and the evidence of ongoing internal damage in the form of an incurable disease. The Band-Aids are an attempt to “make better,” to heal, what cannot be made better and cannot be healed. Lazy Julie, who really isn't lazy, creates fabulous MS Haikus and clever art. Anne of Disabled Not Dead discusses family, sleep, and Restless Leg Syndrome. I have had this for as long as I can remember...even as a young child. I "inherited" it from my mother and grandmother. Of course, I say that in jest because I have no idea if it is inherited or not. When I was a child (from age 4 to 9), my Gran slept with me in my bed because she stayed overnight alot and there was no extra bed for her to sleep. I can remember her rubbing her legs into the wee hours of the morning as they danced and spasmed with a mind of their own. Many a morning I went to school as tired as I was when I went to bed because my Gran's RLS not only kept her awake, it interrupted my sleep too. My mother was an alcoholic as well (Gran didn't drink) and she tried "medicating" it with booze for most of her adult life. Didn't help much from what I could see. When I entered 8th grade, my mother took me to her doctor because between the two of us with restless legs in the bed, neither of us was getting much sleep. She didn't bother seeking help until "I started keeping her up at night." !!!!!!!!!!!!! Doc ordered Valium for both of us, except she mixed it with the booze. He gave me a list of foods to avoid that might stir up the legs. I was already on a Celiac's disease diet from age 9 and most of the bad foods were already avoided. So in later years (before Requip) my RLS had to be quelled by my own investigations and research. I learned what stirred it up, activities to avoid or prepare for, and some ways to help with the constant jumping when I didn't get RLS med on time. Please read the rest of Anne's post here. 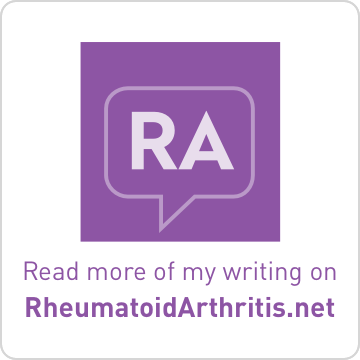 where she discusses how restless legs can be associated with multiple sclerosis. Update on Fundraising for Herrad's Cushion. 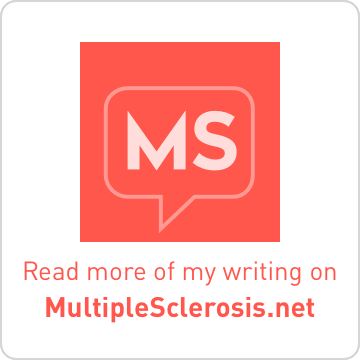 Herrad is a fellow MS blogger who writes at Access Denied-Living with MS. Here is an excerpt from an email she recently sent to Anne and myself. Thank you all very much its a moving experience that you all support me like you do. Its given me a tremendous boost, as well as reminding me about the important things in life. The wound nurse from the Rehabilitation Center Amsterdam and my doctor recommend that I stay in bed for another month. The nurse was here this morning and said one month from now. Its a deep and nasty pressure sore which will take a long time to heal. And when it does heal I have to be very careful. Will not be able to sit as long as I have been, will have to have breaks in the day when I lie down. Will get Richie to measure my wheelchair cushion so you know which size cushion I need, think its different to the 18 x 18 measurements of one of the cushions. By the way which measurements do you use in the U.S? I have been advised by the nurse and the ergotherapist that I need the custom built cushion not the overlay which does not give enough protection. I am by the way totally immobilized and can only move my arms and can not sit on a plastic surface as that will allow me to slip which is bad for pressure sores. 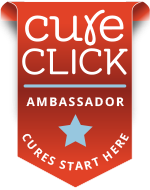 Thanks again for all the support and for the friendship and the love that I have been lucky to receive from you and all the other MS bloggers in the US, you are all wonderful people and help me tremendously. We have collected $335 of our $600 goal. Please consider donating and/or helping to spread the word. To donate to Herrad's Cushion click on the PayPal Button below. 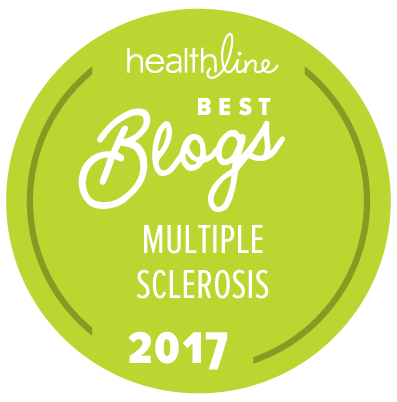 Together we can make this happen for a fellow MS Blogger in need. THANK YOU VERY MUCH FOR YOUR DONATION!!!! This concludes the 19th edition of the Carnival. The next Carnival of MS Bloggers will be hosted here on September 25, 2008. Please remember to submit a post (via email) from your blog of which you are particularly proud, or which you simply want to share, by noon on Tuesday, September 23, 2008. Your carnival is always a good read! I love your carnival. Thanks and keep up the good work. I dig the haikus, yo.